Rated as one of the best education systems in Asia by the Economist Intelligence Unit (EIU) index, it is of no surprise that Singapore attracts tens of thousands of international students each year for their studies abroad; a number highly significant for a small city state! Owing to the dogged government efforts that place tremendous emphasis on the importance of education, Singapore is home to many renowned universities such as the National University of Singapore (NUS) and Nanyang Technological University (NTU). 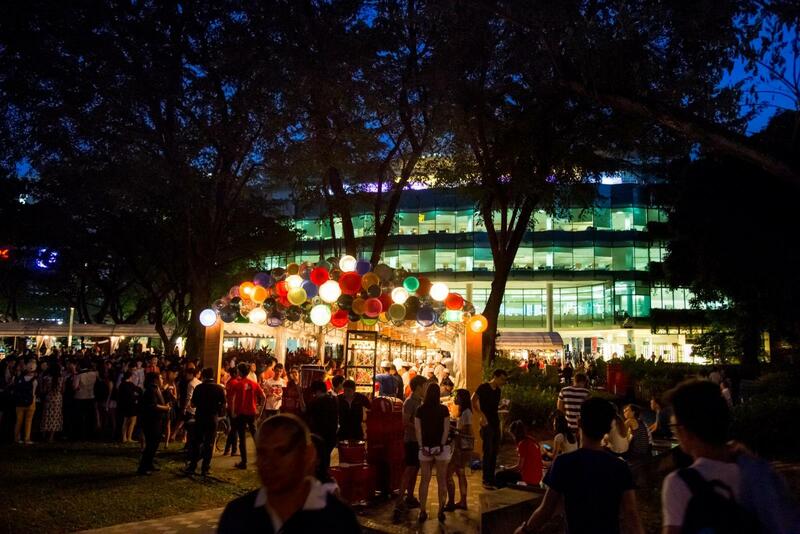 In addition, universities in Singapore promote a vibrant student life where its public universities each boasts more than 100 student clubs and regularly host events that you would not want to miss out on. 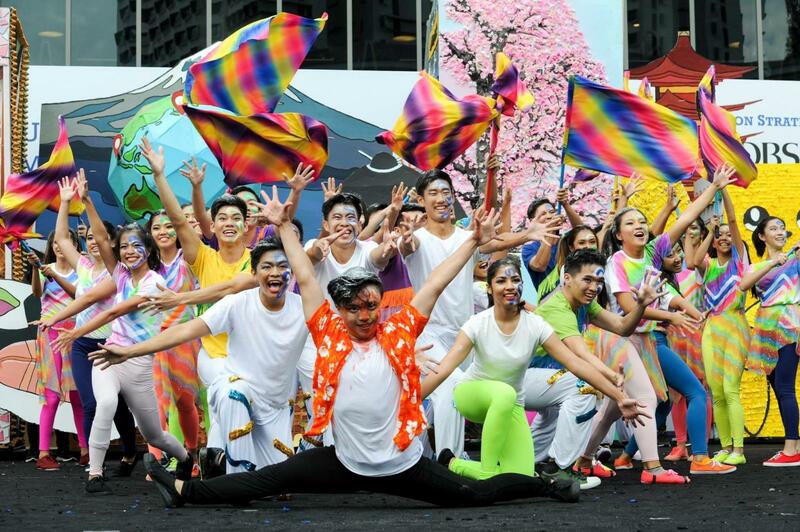 Iconic university-wide events include NUS’ “Rag & Flag”, where students put up spectacular performances as an appreciation to the public for their donations, and Singapore Management University (SMU)’s “Patron’s Day” to celebrate its birthday every year. 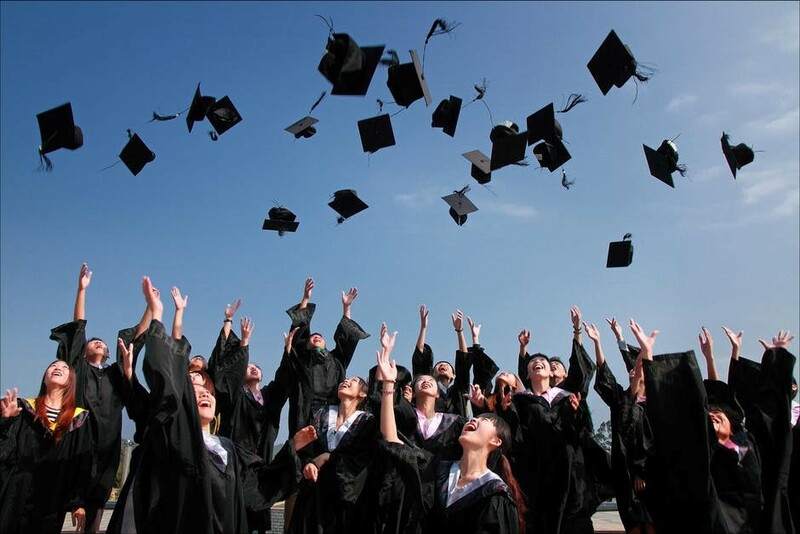 In this regard, you can be assured on the quality of education when you study abroad in Singapore! In 2017, IMF ranked Singapore as the 4th richest country in the world by its GDP per capita. Underlying this is a strong and steadily growing economy that features very low unemployment rate (at just 2.2% in 2017) and a highly attractive job market. 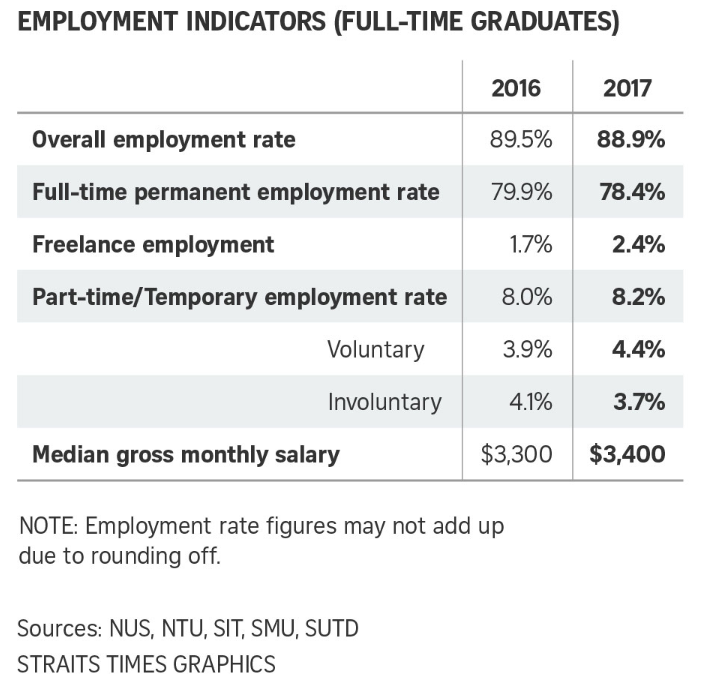 A survey done by Straits Times found that nearly nine in 10 public university graduates found jobs within six months of their final examinations. 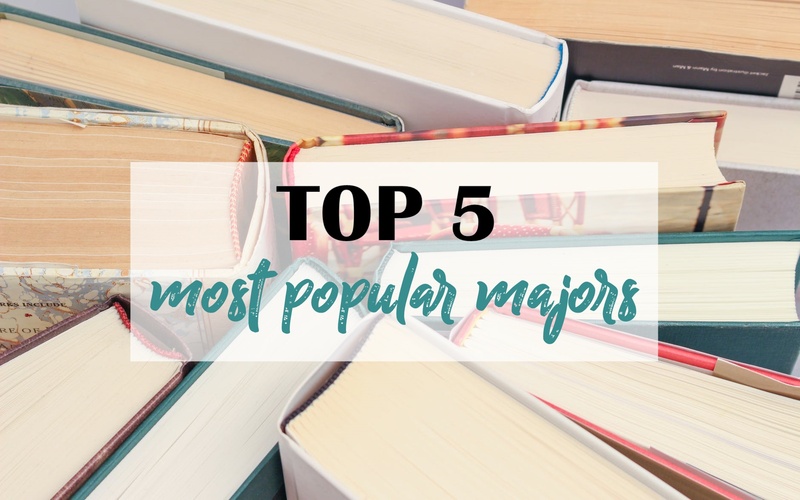 Starting pay of fresh public university graduates has also been increasing with some getting as much as $4,000 to $5,000 in areas of business and computing. Additionally, Singapore also actively hires many foreigners in its job market. 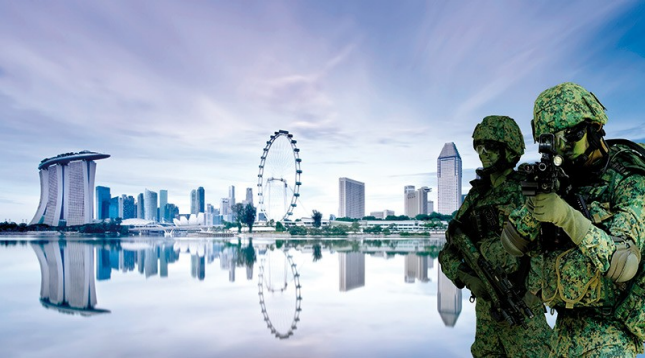 Given Singapore’s strategic location, it is a popular place for multinational companies to base their headquarters in amongst other countries in the Asia Pacific region. Thus, foreign graduate students are sought after for their knowledge of their home country, complemented by the global exposure they had whilst studying in Singapore. 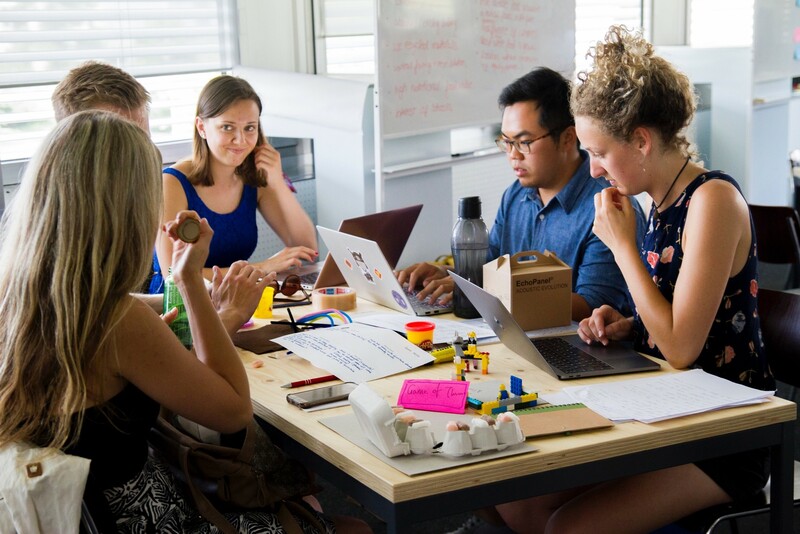 In addition, by studying abroad in Singapore, you will have a competitive advantage over other foreigners when applying for jobs owing to your better understanding of the job market, its unique culture and work environment. Moreover, by being in Singapore, you can go for job interviews and “promote” yourself to your desired company in person! The different races, cultures and religions in Singapore are things that make us Uniquely Singapore. The plus point of being in a multi-racial country is that you get to enjoy a wide range of local food and cuisines from the different races! 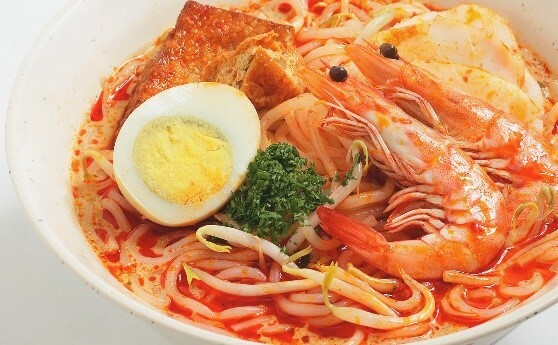 Chilli Crab, Laksa, Nasi Lemak, Chicken Rice, and the list goes on! Aside from amazing food, studying abroad in Singapore would allow you to pick up new languages that you probably would not have in your home country. 74% of its population are Chinese, 14% are Malays, 9% are Indians, with the remaining 3% a big mix of others. And by being a multi-racial society where people of different races actively interact and work with one another, there are plenty of opportunities for you to interact with people of other races and religions. Owing to its education system, all Singaporeans are at least bilingual where other than English, languages such as Mandarin, Malay and Tamil are second languages commonly spoken. Doesn’t the thought of picking up Mandarin, Malay or Tamil already excites you! The world-class living quality should certainly be one of the reasons to study abroad in Singapore. From Mercer’s rankings, Singapore topped the list in Asia for having the highest quality of life with the best infrastructure in the world. It is literally ‘anytime, anywhere’ given its well-developed public transportation system. Getting around Singapore is so convenient and fuss-free! The readily-available amenities will also ensure you a comfortable stay in Singapore. 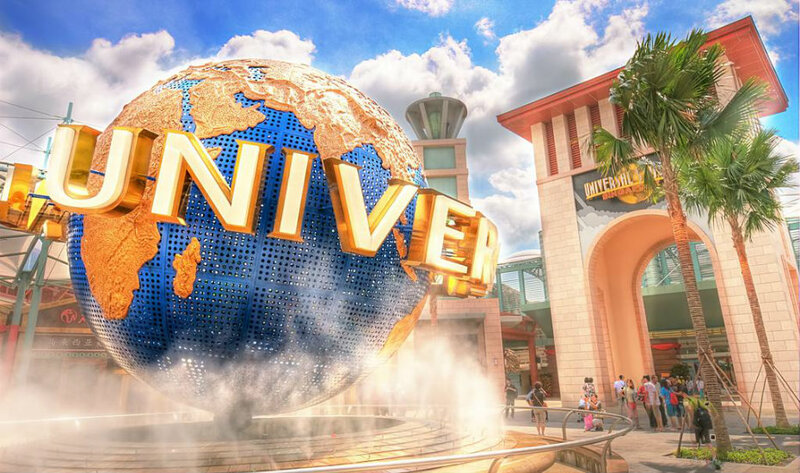 In Singapore, you can always keep yourself occupied thanks to our vibrant nightlife, variety of entertainment and wide access to different types of consumer goods. 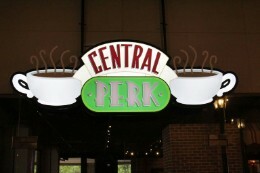 You can check out the comprehensive guide by ladyironchef and go ahead to make plans such as café hopping, cycle at our numerous parks and visit different museums whenever you have free time from school! 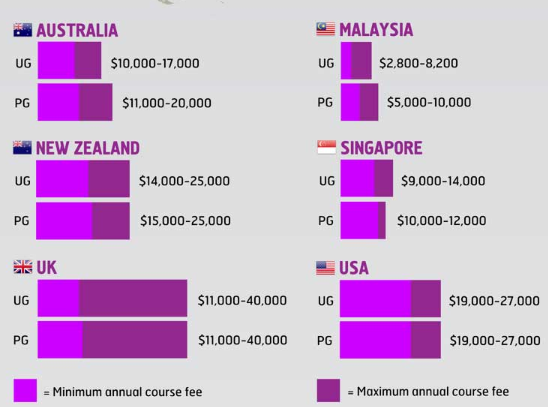 From what hotcoursesabroad.com has compared, studying abroad in Singapore is actually much less costly than other popular study abroad destinations such as UK, USA, Australia and New Zealand. The average total cost of studying in Singapore for undergraduates is USD $11,830 while it is USD $26,230 and USD $23,620 for UK and USA respectively. 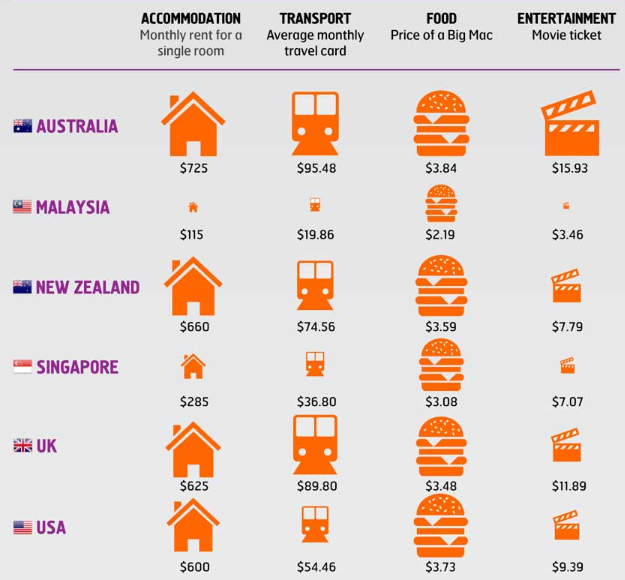 The discrepancy is largely due to Singapore’s tuition fees being relatively more affordable due to subsidies and its accommodation is about 40% of the price you typically pay in the UK or USA thanks to hostels and cheap private rentals. 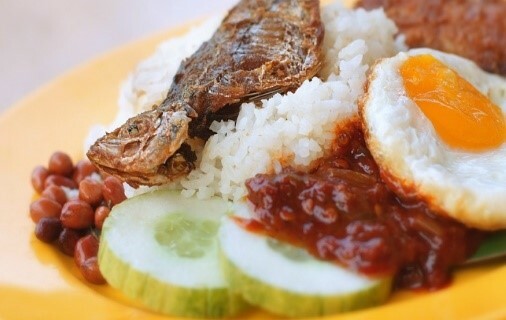 In addition, you can get a decent meal for just USD $4 or less at hawker centres and food courts! Refer to the infographics below for a more detailed breakdown of the costs. 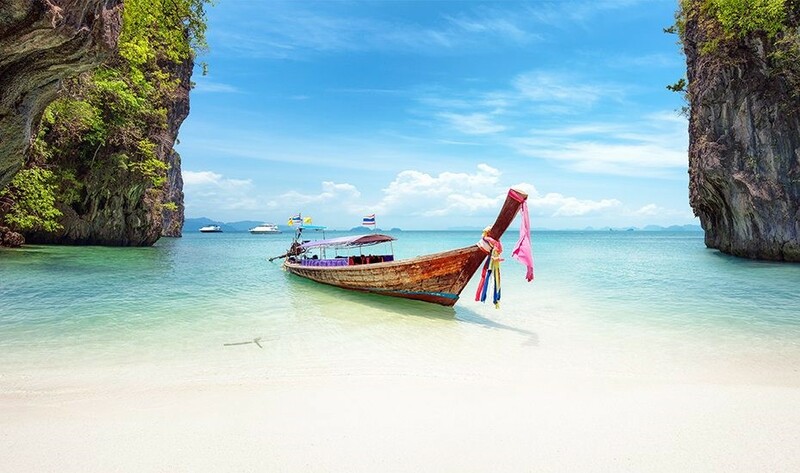 Due to Singapore’s strategic location, short weekend getaways to anywhere in Southeast Asia is as cheap and convenient as it can get! For instance, you can just hop over to Johor Bahru in Malaysia via a USD 1 bus ride to enjoy cheap food and entertainment. Visiting the culture-rich Penang or the shopping paradise in Kuala Lumpur by bus for around USD 50 would not be a problem either. Don’t fancy bus rides? 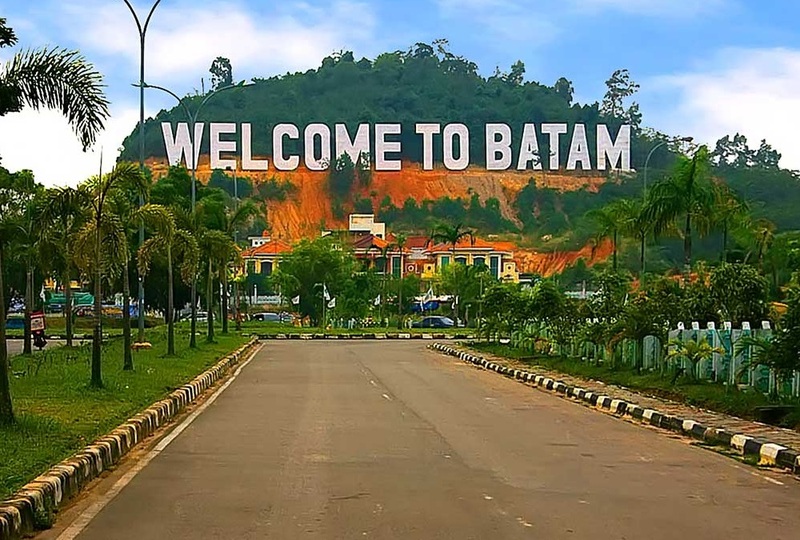 No problem, because you could also travel to Batam in Indonesia by ferry for just USD 40 or fly to Bangkok in 2 hours for as little as USD 80. 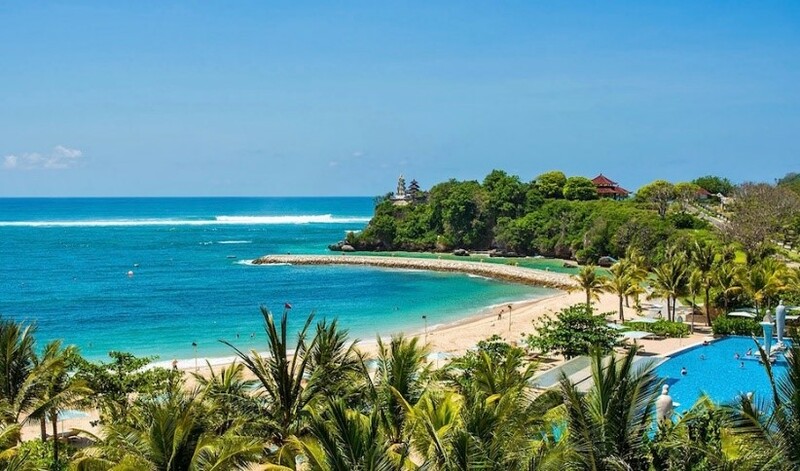 Relax, enjoy a short escape and yet be back in time for school on a Monday! Singapore has one of the lowest crime rates in the world with its highly respectable police force, ultra-low corruption and tough laws. According to the Economist, it remained as the second safest city in the world ever since 2015. And to put it in perspective, there were a total of 135 days without any crimes in 2016! City streets and public transportation methods are exceptionally secure for wanderers. This means that staying out till late while hanging out with your friends would not be an issue. The safety and security you get to enjoy in Singapore can also help to put the worries of your parents away. 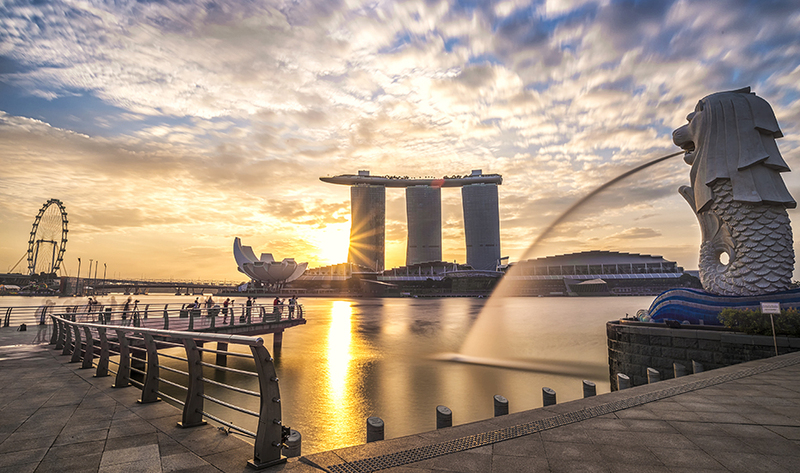 Are you now tempted by the reasons why you should study abroad in Singapore? Yet clueless on how to go about it? 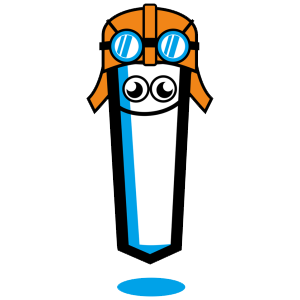 Fear not, Flying Chalks is here to guide you through! 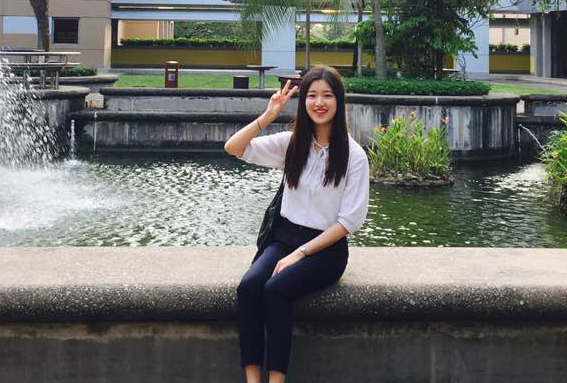 As the official representative of many universities in Singapore, we can help students like you apply to your desired universities, assist in your VISA application, find a suitable accommodation, all free of charge! Sign up now for a free consultation by simply filling up the application form below. Alternatively, you can visit our Study Abroad in Singapore page to find out more.